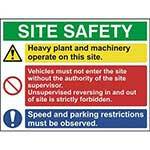 3-in-1 site safety sign designed to effectively combine three safety messages that are commonly used on construction sites and other industrial sites. 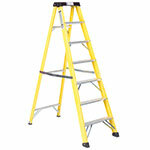 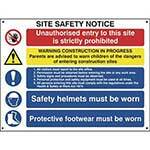 On modern day sites effectively demonstrating the site's safety requirements / procedures, which are quite often lawful requirements, has become a difficult task. 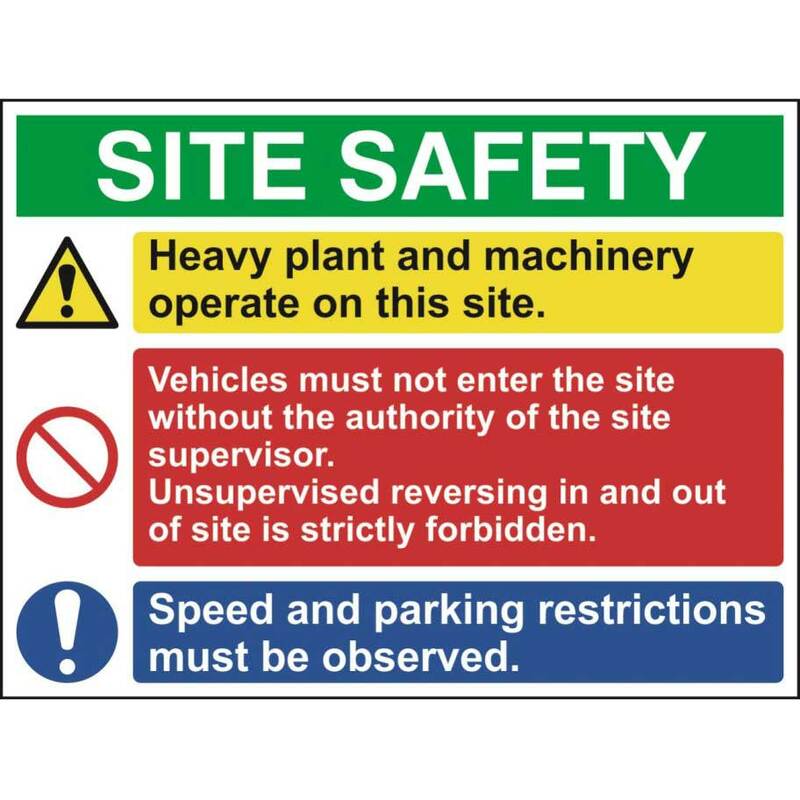 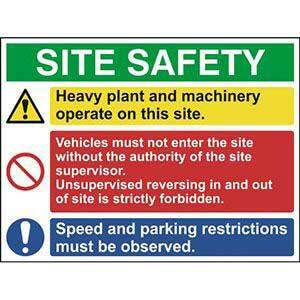 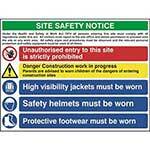 The design of this safety sign helps minimise the number of individual signs around sites enabling site managers to clearly present these requirements to staff & visitors in fewer locations.